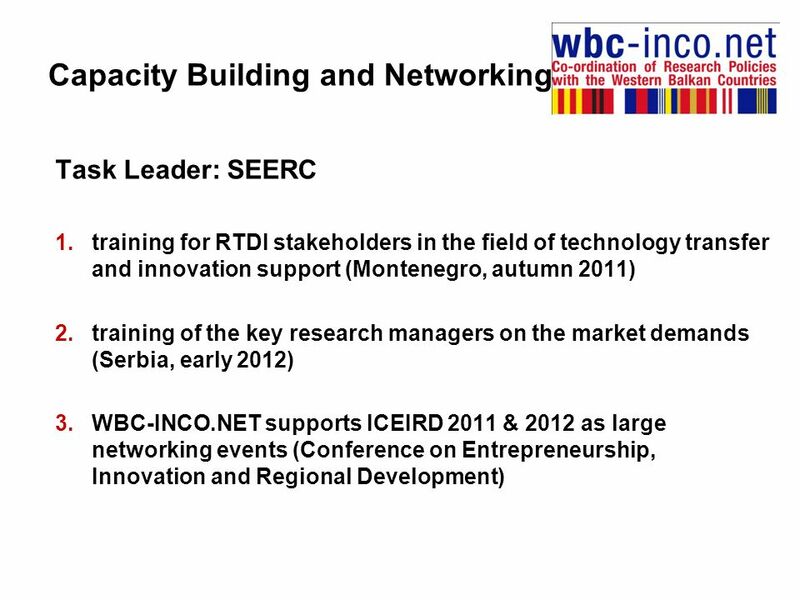 Innovation Support in WBC-INCO.NET Elke Dall Coordinator WBC-INCO.NET With input from GSRT and WP8 team Steering Platform meeting, Ohrid, 26.5.2011. 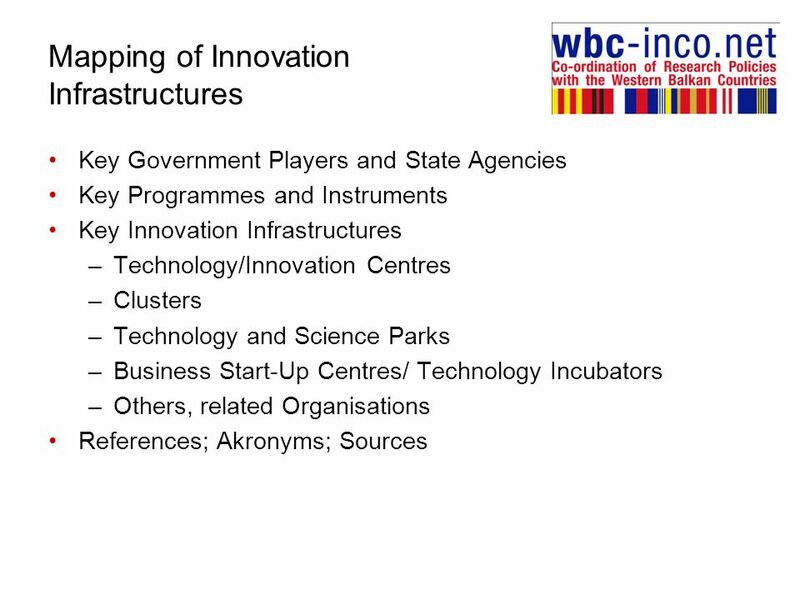 5 Mapping of Innovation Infrastructures AlbaniaExpert reviewed, some further comments to be included. 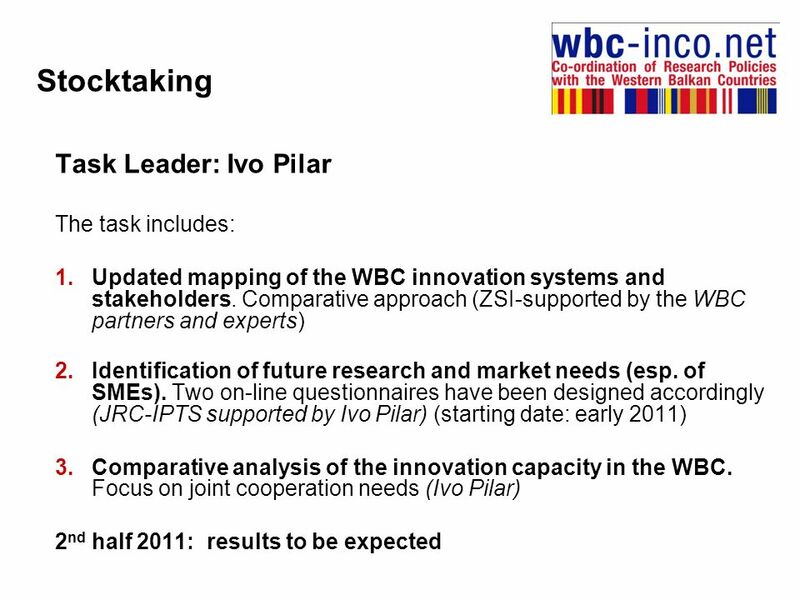 70 pages BiHFirst expert review, additional one planned. 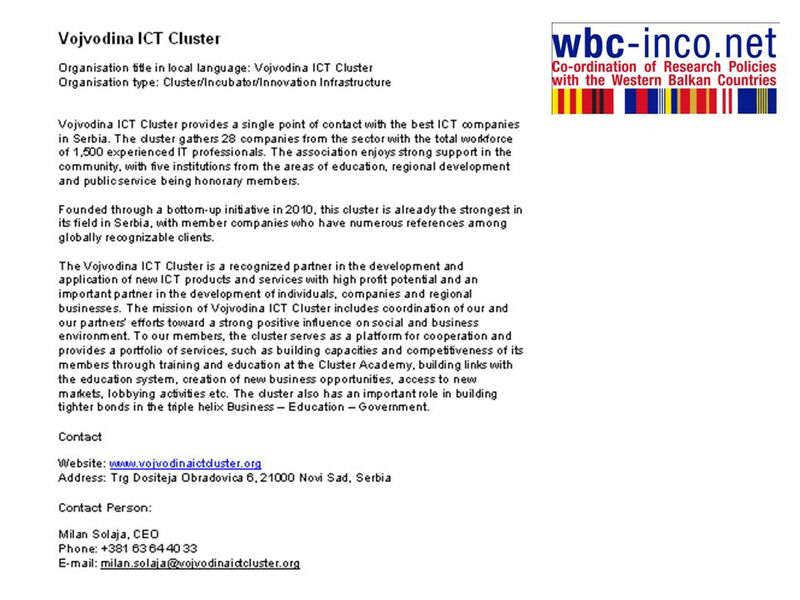 50 pages CroatiaIvo Pilar reviewed, expert review pending. 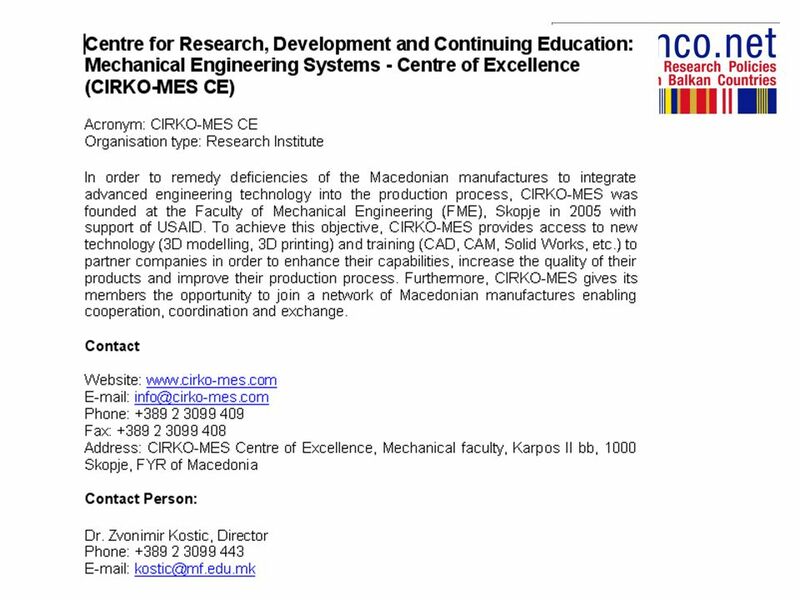 106 pages FYR of Macedonia Expert reviewed, pre-final.59 pages MontenegroDDSME reviewed, expert review pending. 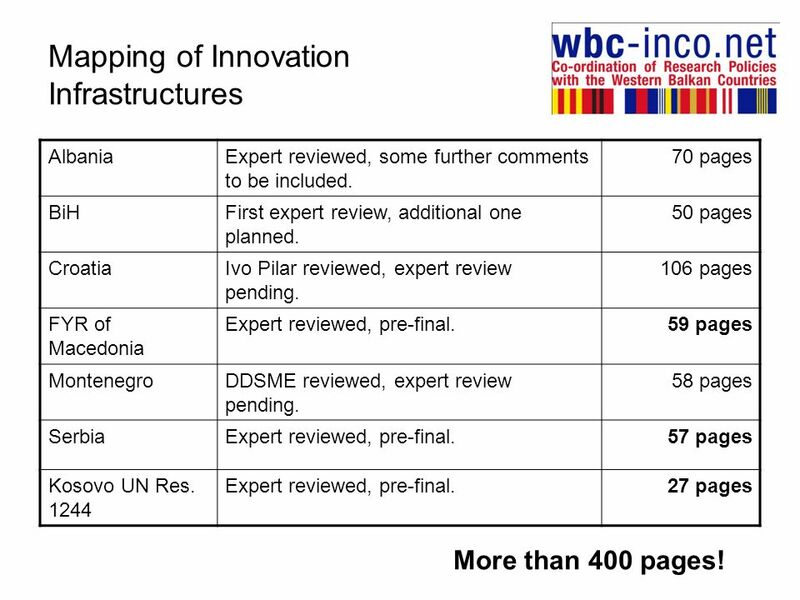 58 pages SerbiaExpert reviewed, pre-final.57 pages Kosovo UN Res. 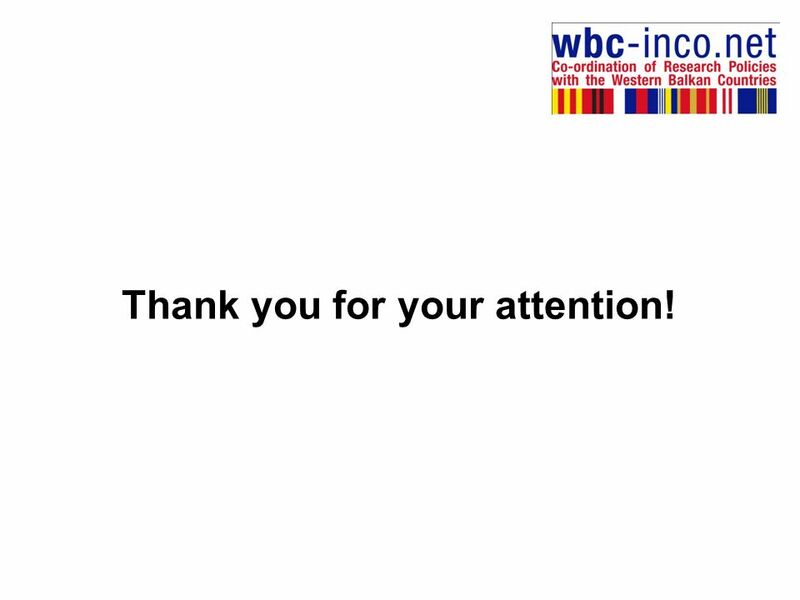 1244 Expert reviewed, pre-final.27 pages More than 400 pages! 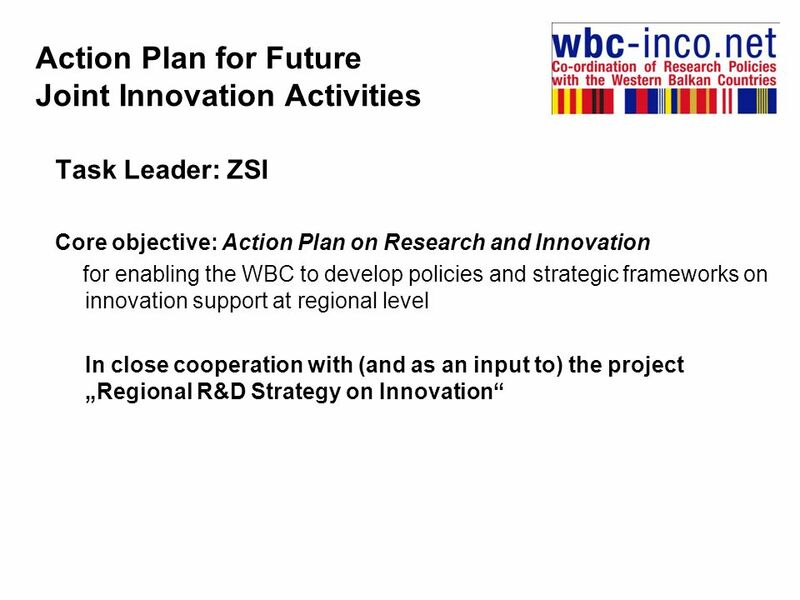 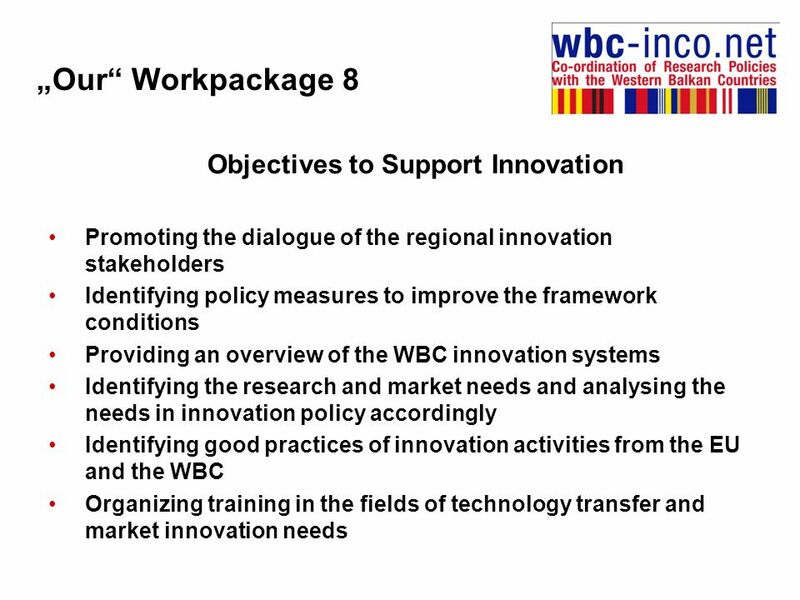 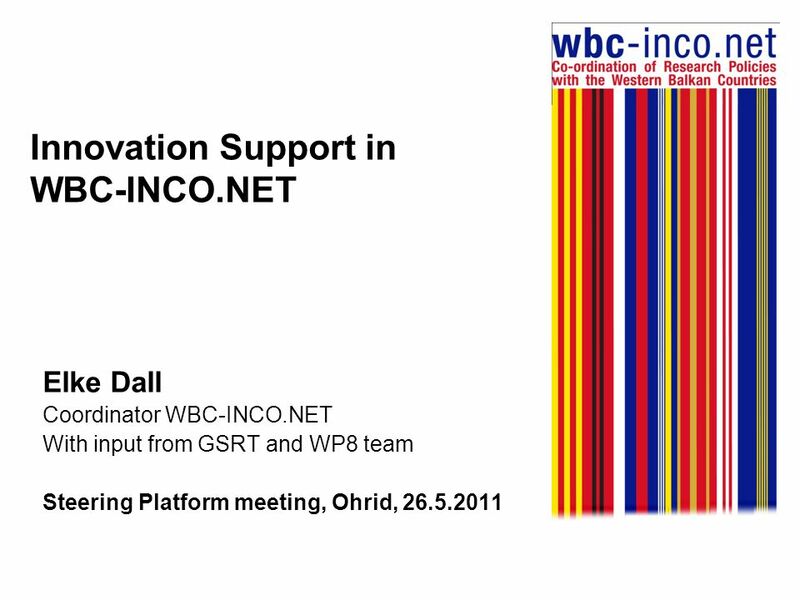 Download ppt "Innovation Support in WBC-INCO.NET Elke Dall Coordinator WBC-INCO.NET With input from GSRT and WP8 team Steering Platform meeting, Ohrid, 26.5.2011." 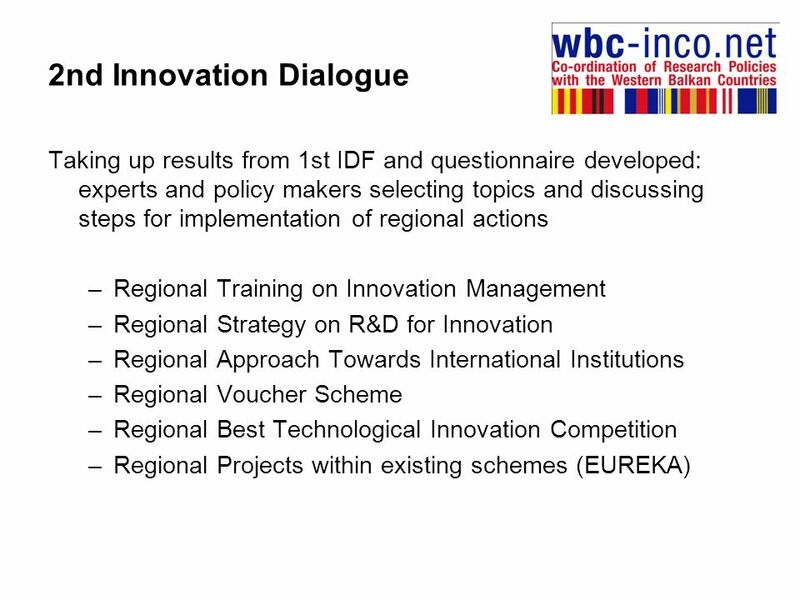 Montenegro, 8-9 November 2010 – 1 st Innovation Dialogue Forum: WBC-INCO.NET project 1 Joint Programming & Foresight: Shaping a Regional Innovation Action. 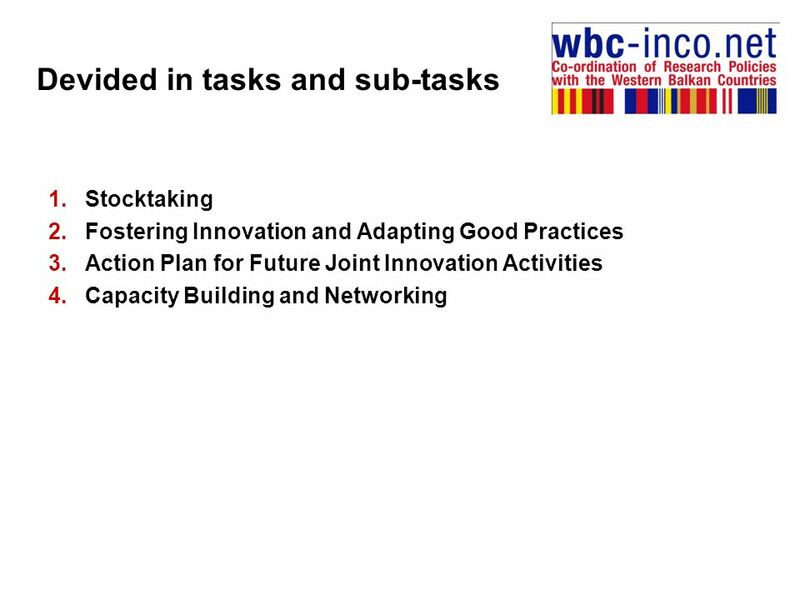 1 Developing Tools for Measuring Performance, the GfD Contribution Working Group on Civil Service and Integrity IV Regional Meeting École Nationale dAdministration. 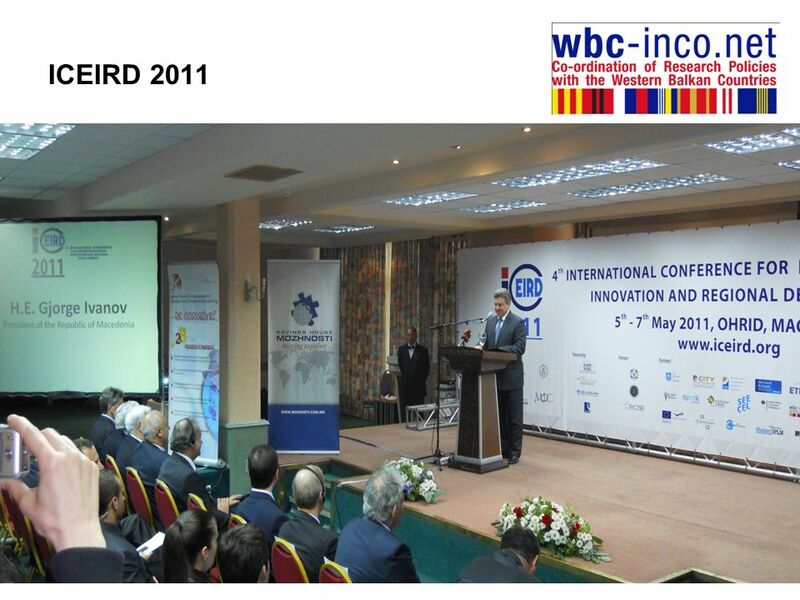 1 1 Boris Kennes Market Development European GNSS Supervisory Authority. 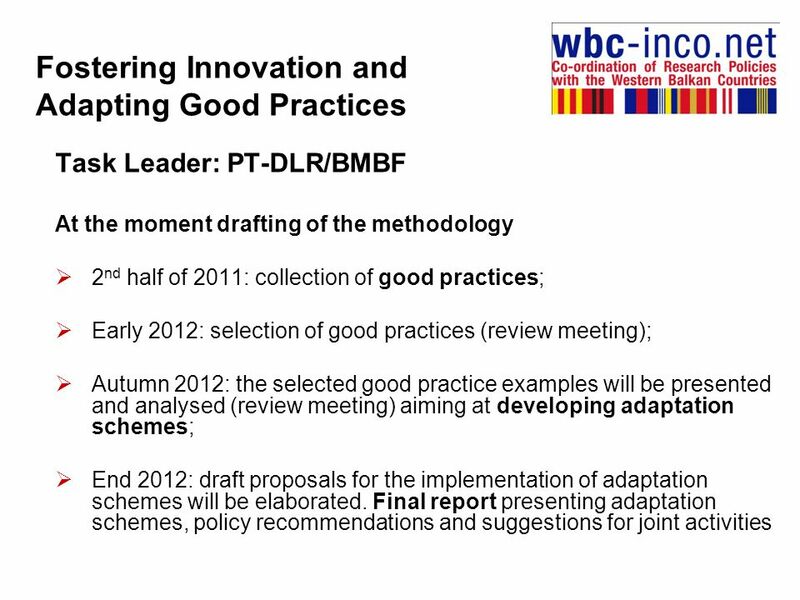 © European Communities, 2011 Methodology for Priority Setting The applied methodology combines quantitative and qualitative approaches and aimed at informing.